And with this year’s MotoGP championship another close-fought affair every weekend even as Marc Marquez romped to title victory, it wasn’t an easy call to decide who deserved what spot in our top five riders of the year in the class. Here’s what we think - but feel free to disagree with us in the comments! It wasn’t an easy year in 2018 yet again for Valentino Rossi and Yamaha teammate Maverick Viñales, as they found the problems with their M1 perhaps even more pronounced than they were in 2017. Yet despite that, Rossi was nonetheless able to rally late in the year to produce some strong results even as he draws in on 40 years old! 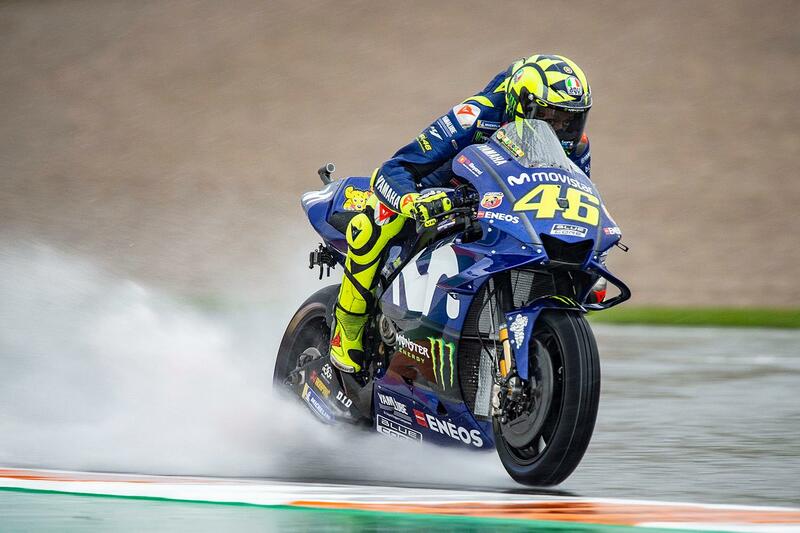 Still struggling with rear grip and acceleration issues, few would be forgiven for marking the year down as a failure for Rossi, failing to take a single win for the first time since his Ducati years and forced to settle for podium positions en route to third in the championship. Is Rossi using Yamaha's MotoGP bike woes as an excuse? However, despite those woes – and despite being old enough to be the father of some of his competitors! – he was still impressive on occasion. Coming out of the blue to almost win at Sepang was undoubtedly the highlight of his season, even if a late crash did end his hopes – but strong results in big pack races at Assen and Phillip Island also showed that the Doctor still has what it takes.